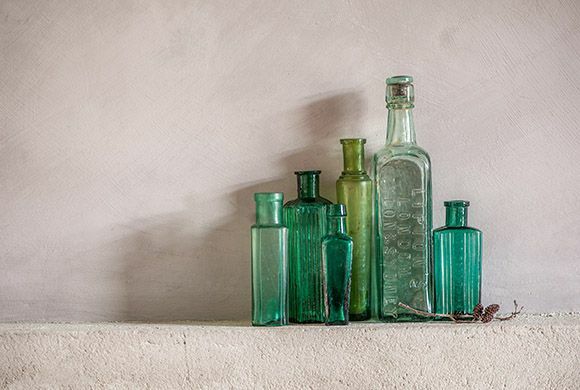 Lime paint has been around for thousands of years and is made again by Pure & Original in the traditionally way. It is available in more than 100 of Pure & Original’s beautiful colours. 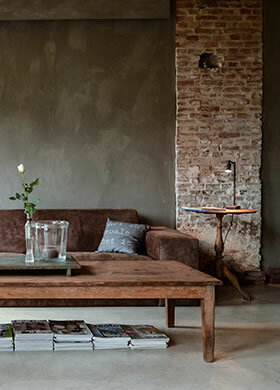 Our Fresco Lime paint is a 100% ecologically and sustainably-produced natural paint, composed of hydrated quicklime and natural pigments. 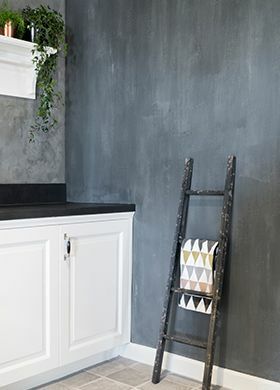 Lime paint can be used anywhere in the house, even in the bathroom and the kitchen! Please note: Lime paint is a 100% mineral paint and has a very specific appearance, lustre, texture and colour perception. 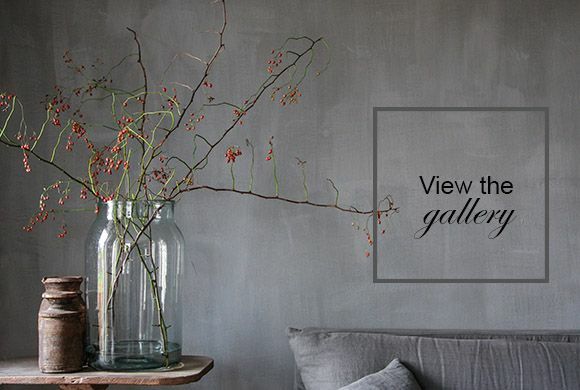 Visit our dealers to take a look at the hand-painted samples. Colours can deviate by the natural raw materials, the method of dilution and processing. It is very simple to apply Lime paint by yourself. 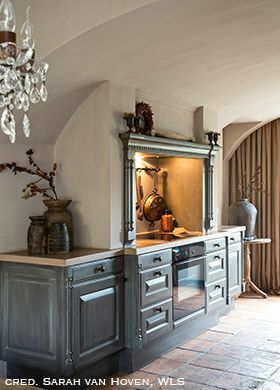 The unique nature of the Lime paint creates subtle colour nuances in a streaky or cloudy effect. To obtain this attractive appearance, you don’t need to use any special techniques. 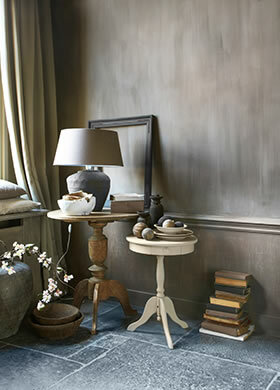 The combination of lime, pigment and water will create the effect in a natural way. There is no need to apply two colours over one another or to use other difficult application techniques. It’s all in the paint! Prime the wall with Pure & Original WallPrim to ensure optimum adhesion. One litre of Lime paint covers about 8 - 12 square meters with a single layer. If you adjust to the Al Fresco method, you can cover even more surface because of the larger dilution. If more than one can of the same colour is required, mix the paint in advance to avoid colour differences. Due to the action of the minerals in the Lime paint, the substrate and structure of the wall, the colour may appear slightly different on the wall than on a colour sheet. Is this your first time working with Lime paint? We recommend that you set up a sample board first and start experimenting with different techniques. Practising is the best way to learn. Lime paint is a breathing, mould- and bacteria resistant paint, what makes it extremely suitable for application in the bathroom and kitchen. To protect lime paint from moisture, you can use a protective finish. For example, you can use Dead Flat Eco Sealer. This finish seals the surface, making it easily washable and water resistant. You can also choose for one of the other finishes, like Lime soap. A relief, like spachtelputz on the wall? You can place a thick later stucco over it to make it flat, or you can just leave it there! 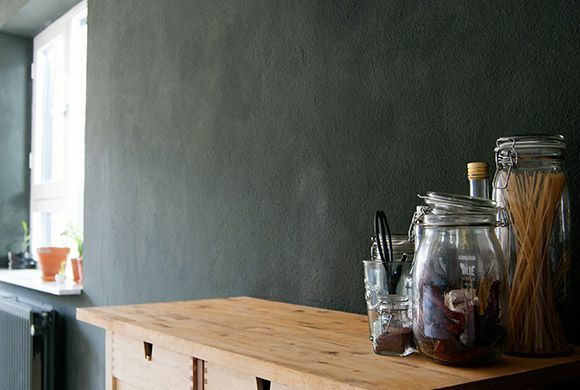 Lime paint can easily be applied on structured walls, like spachtelputz. The relief gives, together with the colour nuances of the lime paint, a unique appearance. There is no need for another application method as on a regular surface. You may need a bit more paint because you are painting a kind of 3D-object, but that’s all. Because of the structure, it can be hard to paint in straight lines. This is why the ‘criss-cross’ method is recommended. This will appear a cloudy look. There is a possibility that there will be fewer colour nuances on a structured wall, in comparison with a flat wall. Because of this, the colours will appear deep and warm. The structure gives an almost velvet look to the surface. Lime paint is one of the most authentic paint qualities. It exists for over a hundred years and is made in a traditional way, by Pure & Original. It is available in more than 100 beautiful colours. For centuries, it has been a practical solution to protect and decorate walls with a combination of water and slaked lime. In certain parts of Europe, there was a tradition that farmers would disinfect and protect the walls of the stables from moisture with lime paint, every year around Easter. Lime paint won’t close the surface, it will still be able to breathe. Today, lime paint is mostly applied to a decorative wall finishing. It has a beautiful matte and powdery look with a high opacity. What is the difference between lime paint and lime matte look? The difference between lime paint and a lime matte look, is very simple. Lime paint is a paint quality on a lime base. It is a paint type. The lime matte look is the look of lime paint, but it isn’t real lime paint. Lime matte paint is a very matte paint with no real lime in it. It is only the look of lime paint. Lime matte paint is mostly cheaper than real lime paint. This is because the paint only has the look of lime paint, but none of its characteristics. It mostly does not have colour nuances, moisturizing properties and the power to retain mould. 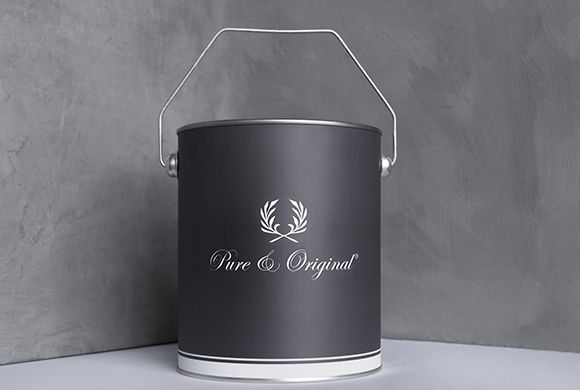 Pure & Original Lime paint is a durable paint, made in a traditional way by people with passion and knowledge for the profession. 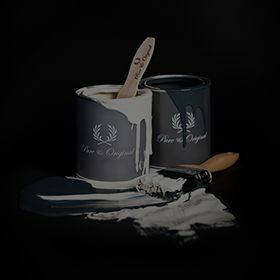 The paint is 100% mineral and stained with 100% natural pigments and is, therefore, an environmentally-friendly product. The look is extremely matt, giving your walls a “weathered”, lived-in look, which only gets more and more beautiful as time passes. Touch-up can be tricky and you are likely to see some difference in colour when Lime paint is applied at different times. Lime paint is porous and, therefore, is easily affected by water and fat. When used in the kitchen or bathroom, we recommend that you protect the Lime paint by applying our Deat Flat Eco Sealer.